There are politicians that supported the presidency of Muhammadu Buhari in 2015 and they knew fully well that he had absolutely nothing to offer. All revolves around egocentric interests. The evil antecedents of Buhari were well known by these men. He has no integrity. The forgiveness of your sins, no matter the magnitude is guaranteed so long you can unreservedly give him your support. Buhari languishes enormous favors on such individuals more than the avowed supporters in an opposition camp. A support for Buhari favours them more than a support for Jonathan. The later remains a beast that must be done away with by every imaginable means while the former is treated and respected as human. If you are a supporter of the opposition or perceived as an enemy and Buhari wins, you are in for great trouble and must be dealt with ruthlessly. It is a political calculation well garnished in witch hunting and it absolutely favours them. Supporting the removal of Muhammadu Buhari from office today amounts to nothing. They know that his hands are already tied. How can a Buhari who for a period of three (3)years, who never remembered them for committing any offence, will suddenly turn corruption fight against them? It will amount to self defeatism against his purported second tenure ambition. Olusegun Obasanjo is just untouchable. He knew his games very well and that was why he opted to supporting Buhari's first coming. He has continued singing the praises of Buhari intermittently just to maintain a balance, and at the targeted time, he struck. People that were in his camp, started praising his courage through his statements in his letters. He narrowly stole the show. But it must be bluntly said here that Obasanjo did virtually nothing. He is just playing the game of politics. His visit to Otuoke, the home place of the immediate past President, Goodluck Ebele Azikiwe Jonathan, in Bayelsa state, was born out of desperation to ensure that Muhammadu Buhari is kicked out of office. He knows this is a good opportunity and so he is ready to form alliance with Goodluck Jonathan whom he calculated, commands respect among Southern youths and others. Here I sense a return of Obasanjo to the People's Democratic Party (PDP) through the back door. It is his turn this time around, to compromise. In 2015, Obasanjo was a demigod whom Jonathan paid a visit. Jonathan needed him then and he recklessly tore his PDP membership card all in the bid to ridicule both the party and Jonathan. But today, the tide has turned and he is now the one visiting, hence targeting Jonathan's support base. This is actually, what is needed to oust Buhari. But the truth remains that Obasanjo is not doing this for the love of Nigeria but for his personal interest. Selfishness it is! THE QUESTION NOW IS: WHEN ARE WE, THE PEOPLE GOING FOR OUR OWN INTERESTS? What exactly are we, as a people stand to gain if Buhari is eventually removed from office? Will his removal bring restructuring to Nigeria? What will be our benefit? Some people are saying that things are difficult under Buhari. And I ask, Will Buhari's removal end the hardship in the land? I personally, do not subscribe to the thinking that Nigeria has had it better even in the past 25 years either. So things have been difficult in the country all these while. Buhari only made them excruciatingly more difficult. Without a wholesome restructuring or regional autonomy, Nigeria will never get it right and I ask again, ......where lies our interest as a people in all these? Our problems do not lie on whether it is Buhari or not. His presence or not in Nigeria's seat of power, makes no difference at all. His being in Aso Rock is as useless as his absence is. This means therefore, that conducting election will never bring any solution. The highest that will transpire is that some group of individuals will force out "some mouths from the tap" (Nigeria) and "put their own mouth". The people will then go back home to lick their wounds for another four years, thereby waiting for another set of aggrieved group that will start singing "GO GET YOUR PVC (Permanent Voter's Card) and vote him out. No, that's not gonna change anything or solve our collective problems. For how long then will this "merry-go-round" continue? This is absolutely, the time for all those championing Biafra restoration and those campaigning for restructuring respectively, to marry their interests and force these self serving leaders to do the needful. Some people have commenced with the hashtag #RestructureOrBurst# and I think that is the best approach. 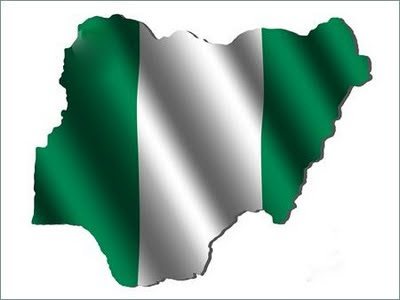 A well restructured Nigeria is one way traffic to self-determination. It squarely places the people's destiny in their hands and gives them the option to either remain in the larger contraption or vote in their own Parliament to exit. HOW THEN CAN WE FORCE THEM TO RESTRUCTURE NIGERIA? This is definitely not going to be through the ballot (voting). IS IT THEN THROUGH A REVOLUTION? The answer is a resounding NO! Nigerians, no matter their claims to love Nigeria and patriotism, they cannot stake their lives for her. No Nigerian will give his/her life for the country to be restructured. And Biafrans that are daily being sacrificed for their freedom will not even spill the blood of a bird for Nigeria to be restructured. Tribal and religious differences remain an unconquerable monster for any meaningful revolution to take place. The only option available is TOTAL ELECTION BOYCOTT. If you are a Biafran then, boycott all Nigerian organized elections for Biafra and if you are a believer in restructuring, boycott Nigerian election to force the hands holding her to restructure. By following this trend tenaciously, we must have collectively, achieved a tremendous objective for our emancipation. We will definitely through this agenda, bring these political sycophants, to their knees.